Markets are down small as the earnings reports continue to stream in. Economic bellwether UPS missed analyst estimates. Initial Jobless Claims came in at 368k. Incomes and spending rose. Bonds and MBS are continuing to rally after the FOMC statement yesterday. The FOMC statement broke little new ground with the exception that they may have walked back their plan to end QE this year. Recall from the minutes of the Dec meeting, the consensus seemed to be that purchases of Treasuries and MBS would end sometime in 2013, probably towards the end of the year. That was unexpected and caused a sell-off in bonds. Yesterday, they said that if the outlook for the labor market does not improve substantially, they will continue to purchase Treasury and agency MBS. That caused a rally in bonds yesterday. Aside from that, the minutes contained nothing new. As the sequestration approaches, defense contractors are relatively sanguine. Typical corporate optimism or do they know something the rest of us don’t? Regarding the sequestration the latest amount for spending reduction is $85 billion. The requested increase in spending from 2012 to 2013 is $74 billion. So we are really talking about flat YOY spending (it really is a drop of $9 billion in the context of a $15.8 trillion economy). The most likely outcome is that the sequester happens and no one notices. Another underwater refi program is in the works, which would allow underwater borrowers in private label securitizations to refi into a government loan. Another pilot program would have Treasury buy mortgages out of private label pools and mod the rates. A backup plan would have Treasury cut the rates and pass on the difference between the old and new rate to the investor for 5 years. If Washington comes up with a robust plan, the refi boom (which was thought to be over) could still have some legs. Opposition to Obamacare is coming from an unlikely source: unions. The FEC has updated the campaign contribution limits for the 2014 cycle. The Federal Election Commission increased the limits on contributions that individuals can give to candidates for federal office and national party committees in the 2014 election cycle. Individual donors can now contribute up to $2,600 to a candidate in both the primary and general elections — $5,200 total — and $32,400 per calendar year to national party committees. The total amount of federal contributions that an individual can give during a two-year cycle also increased to $123,200, including $48,600 to candidates and $74,600 to parties and political action committees. Those and other contribution limit figures are indexed for inflation as directed in the Bipartisan Campaign Reform Act of 2002, better known as McCain-Feingold, and generally increase with every election cycle. The individual donation to candidates has gone up about $100 per election — from $2,100 in the 2006 cycle to $2,300 in 2008, $2,400 in 2010 and $2,500 in 2012. Individual donation limits to national party committees was $30,800 per calendar year in 2012 and $26,700 in 2006. This cycle, the limit on national party contributions to Senate candidates went up to $45,400. They were limited to $43,100 in 2012 and $37,300 in 2006. Markets are lower on a surprisingly weak 4Q GDP number, which showed the economy contracted by .1%. The ADP employment change report showed the economy added 192k jobs in January. Mortgage Applications fell 8% last week. Later today, we will get the FOMC rate decision. The 10 year, which was above 2% earlier is back down below. MBS are up small. The Q4 GDP number was surprisingly weak (the Street was at + 1.1%) and will undoubtedly be revised upward as it does not jive with the other data points out there. Certainly the earnings reports we are seeing out of Corporate America do not indicate a recession. This is the “advance” report (the first of three) and is based on incomplete data. The next estimate will be released at the end of Feb.
NAR has a good piece on the home ownership rate and household formation. The latest homeownership rate of 65.3% is the lowest since 1996. Renters have been increasing. They estimate that household formation broke out of its doldrums in 2012 and will be close to normalcy – around 1.1 million. Note that this represents pent-up demand for housing as the Great Recession drove the low numbers, not demographics. Of course some of these new households will go to rentals, but many will start purchasing starter homes, and they are the key to get transactions flowing again. This would also help ease the burden on the sandwich generation. Looks like the sequester is going to happen, though the recent GDP report may give lawmakers a push to do something about it. When the FOMC statement is released, people will be focusing on the end of QE. Aside from the effect on interest rates, there is also the question about the size of the Fed’s balance sheet. A recent paper projects the Fed’s balance sheet to start contracting in 2015, with a return to a more normal size in early 2018. The Fed has been highly profitable during QE, since its own buying influences prices and makes its holdings of MBS and Treasuries more valuable. But what happens when they begin to sell? The Fed may in fact lose money over the next few years, which will undoubtedly bring a political angle into the future role of the Fed. Whoever succeeds Ben Bernake will, like Paul Volcker, preside over a Fed that will be unpopular, to say the least. Stock index futures are weaker as the Fed kicks off its January FOMC meeting. The markets will be parsing the press release looking for clues regarding the end of QE, specifically the timing and the economic variables that influence the decision. Today is a very heavy earnings day, with Danaher, Ford, EMC, International Paper, and Pfizer reporting. Bonds and MBS are up a tick or two. DR Horton reported a 39% increase in revenues and a 26% jump in homes closed from a year ago. Orders were up 39% and backlog was up 62%. Like the other homebuilders, DHI is reporting general strength in their housing markets. There was a shift towards larger houses as well, as the dollar increase in the value of homes built increased 60%, while the number of units increased 39%. They are looking forward to the spring selling season with optimism. The stock is up about 4% pre-open. Is the “risk on” trade we have been waiting for since 2007 finally on? Trim Tabs is reporting that last month was a record month for inflows for stock mutual funds and ETFs – the last time we had inflows of this magnitude was the winter of 2000, right as the tech bubble was bursting. Time to be cautious or time to break out the champagne? Reason for optimism: There are no, repeat no, signs of overheating in the economy. If anything there is a tremendous amount of pent-up demand. That is not recessionary, and should therefore be bullish for stocks. Reason for pessimism: Interest rates are going up. The great secular bull market in bonds that began with Paul Volcker’s tightening in 1981 is ending. The end of QE will mean long-term rates will rise, and short-term rates will soon follow. Also, we are in a secular bear market for stocks, and those rare animals typically last a lot longer than 12 years. This secular bear market in stocks resembles the bear market of the 1970s. with stocks trading in a large range that oscillates over a period of years, while going nowhere. To put the 1970s in perspective, the Dow Jones Industrial Average was at roughly the same place when I graduated from high school as it was when I was born. Similar oscillating pattern, with higher highs, and lower lows. If you believe in charts, they suggest a further run to eclipse the previous high and then a swoon lower. So, you might have another 8% – 10% left before the market heads back down again. 23 years of a secular bear – it took until 1953 to recover the losses from the 1929 crash. Some stock market darlings – Radio Corporation of America (aka RCA) never regained its peak from the 1920s. The economic backdrop of deleveraging has a lot more in common with the Depression bear than the 1970s bear which was driven by commodity price shocks and inflation. Of course as Wall Street loves to say, past performance is not indicative of future performance, and charts are just that – representations of history that may or may not be relevant. The market may not follow either pattern. But, remember the great secular bull market in stocks from 1983 – 2000 was accompanied by a secular bull market in bonds that began at roughly the same time. That will not be the case this time around. Markets are slightly higher this morning after a strong earnings report from Caterpillar and strong durable goods numbers. Bonds continue their swoon, with the 10 year approaching 2%. Is the “risk on” trade we have been waiting for since 2008 finally at hand? MBS are down as well. Fannie Mae is offering deed-in-lieu options for underwater borrowers who are current on their mortgage and have experienced some sort of hardship like illness, job change, or other problems. It effectively allows these homeowners to “toss the keys to the bank” and walk away from their underwater property with the underwater portion of their mortgage debt forgiven. The program does not address mortgages, so a second-lien holder could prevent a homeowner from walking away. The Federal Appeals Court has rejected Obama’s recess appointments, specifically his appointments to the NLRB and the CFPB. Cordray’s appointment to head the CFPB was an interim appointment, and he will have to go through the process for his 5-year term. Will it change anything for people in the industry? Probably not. Since we have kicked the debt ceiling can down the road for a few months, the next item is the sequestration – which is all of the automatic spending cuts that kick in. 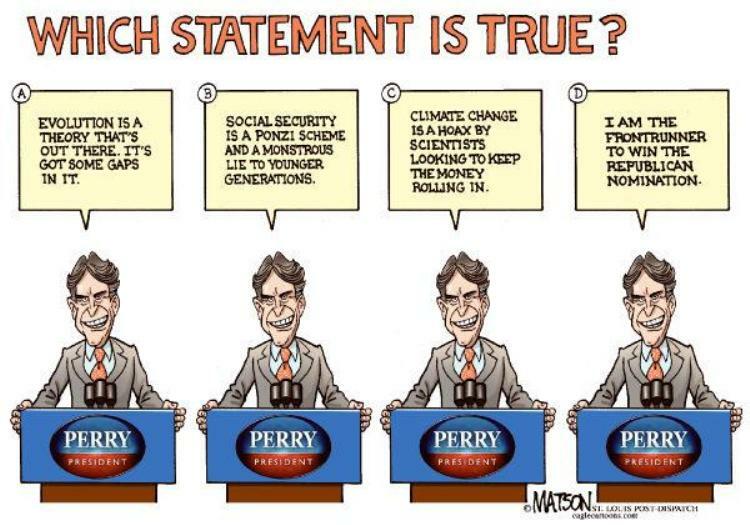 Half will be in defense, and half will be in non-defense discretionary spending. Paul Ryan was on Meet the Press and said that he expects the sequestration cuts will happen. Agencies are bracing for the cuts to happen as well. Looks like the eminent domain idea is officially dead, at least in California. I always thought that making French onion soup would be difficult until I saw this episode of Good Eats (and then got the cookbook). But this is really, really simple also. I’ve found that I need to use an electric skillet for this, as it’s difficult to get a burner down low enough, but other than that it’s a snap. Turn electric skillet (12″ skillet) to 250, or place a 4-qt sauce pan over low heat. Peel the onions, cut them end-to-end and then slice into thin half moons. Melt the butter in the skillet, then add the onions in three layers, salting each layer with about 1 tsp of the salt. Sweat the onions for 15 – 20 minutes without stirring (don’t let them sizzle or brown). Continue to cook, stirring occasionally, for about an hour, or until they’re mahogany colored and reduced to about 2 cups. Add just enough wine to cover the onions, then turn the heat up to 375 (high) and cook until the wine is reduced to a syrupy consistency. Add the beef consumme, chicken broth, and bouquet garni, reduce the heat and simmer for 20 minutes. Set an oven rack in the top third of the oven and set the broiler to high. Cut out rounds of bread to fit into the top of your soup crocks, place the rounds on a sheet pan and place under the broiler until they just start to brown (about 1 minute). Season the soup with salt and pepper and the cognac (if using) and ladle into the crocks. Place the rounds, toasted side down, on top of the soup and cover with the cheese. Broil until the cheese is bubbly and golden. This is a nice crusty bread. Since you bake it in a covered pot, there is no need to spray/brush with water to harden the crust. It takes some time to rise because there is so little yeast. If you use 1 packet of yeast (1/4 oz), you can cut the first proofing time to 4 hours. Mark’s pretty EZ and rich cream of mushroom soup. For 8 big bowls of cream of mushroom soup, first make about a quart of clear vegetable broth. 4 cups of filtered or distilled water, unless your tap water has no off flavor. Wash and cut veggies into big chunks and place in a large pot. Add everything. Cover and bring to a full boil. Reduce the heat and gently simmer until all the vegetables are beginning to fall apart / 30 min. Strain the mess to get the clear stock. Let the stock cool. For the cream of mushroom soup we need 2 lbs of cremini mushrooms or baby bellas, not whites. Coarse chop the mushrooms with the lemon juice in the food processor. Melt the butter in a big skillet and saute the chopped green onions until they are limp and the white parts are translucent. Dump in the mushrooms, thyme, and bay leaf and saute on low medium for 15 minutes. Have the veggie stock and the cream slightly simmering in a big pot on the next burner. Dump the mushroom mix into the cream and stock mix. Add salt and pepper. Simmer for ten minutes, and only use the tapioca starch [or cornstarch] if you think it needs thickening. Stay away from flour here it changes the flavor, IMO. Ladle into bowls and sprinkle with parsley. 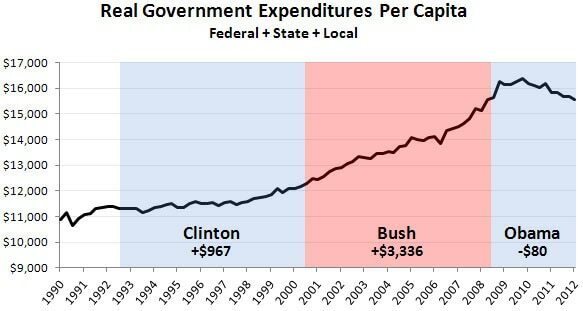 [S]ome said Drum’s chart was a trick, as it looked at total government spending rather than just federal spending. So on Wednesday, he posted a second chart. This one only included federal spending and it didn’t adjust for population growth. The only thing is adjusts for is inflation. [T]he sharp rise in federal spending begins in late-2009 and is largely over by 2010. 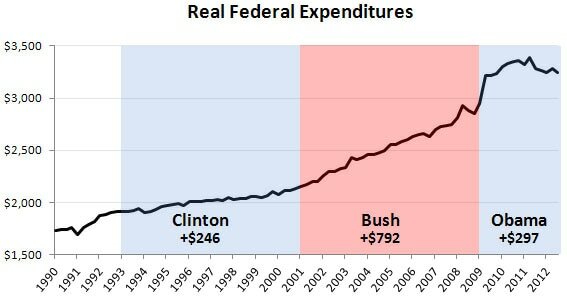 It’s ridiculous to attribute all that spending to Obama, who wasn’t in office when it began, rather than to the recession, which is the clear and obvious cause.